Masterdatadirect offers 3-up Blank Check paper that can be used with almost any software, however they are more commonly used with all Quicken, Quickbook and Microsoft Money. Micr toner will need to be used in your printer in order for them to pass through at the bank. 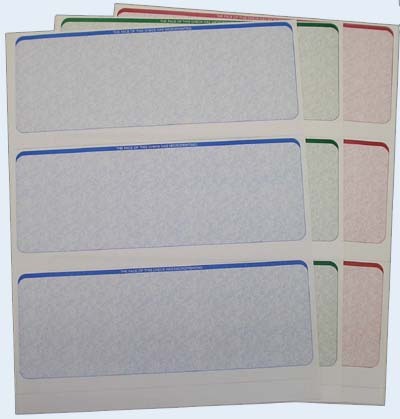 All blank check paper is made with Premium 24# micr paper with 5 security features including a "VOIDED" pantograph. They are available in 5 colors including Blue, Brown, Green, Red and Maroon.